This week’s roundup of the best new music from around the world sees Getintothis’ Patrick Clarke unearthing San Diego’s finest debutantes, a shimmering Cardiff almost-soundtrack, and the best in Norwegian alt-pop. As tiresome as the brigade of bores so eager to proclaim the death of guitar music every second Tuesday might be, for this writer, at least, it’s been a while since a straight up slice of brand-new six-string-pop has really felt much more than merely passable. So step forward San Diego’s Big Bloom, the as-yet remarkably unheard of (even by our standards) fivesome whose debut release, the three-track Last Daze EP appeared to a miniscule following this last week (February 20). It’s the slacker-haze of opener Last Days that was the first to catch our attention, a chunk of fuzzed out pop that’s half Best Coast, half Alvvays, and entirely enthralling for a debut track.New Blue is equally enchanting, swimming from a whacked out surf-rock groove to an incendiary burst of gritty grunge guitars without a crack, while their mellowest outing Sorry Artists shows off the assured, wrenching vocals of their (as yet unidentified – Katie something we think) frontwoman at their fullest ebb. At time of writing, the band have a pitiful 10 followers on Soundcloud, including us, and 87 likes on Facebook. If Big Bloom can keep up this phenomenal early form, that’s a figure that really does deserve to skyrocket. Cardiff’s Mooginizer meanwhile, the project of Wave Runner Records owner Morgan Griffin, takes the same sort of ‘soundtrack for a film we wish existed’ approach as Liverpool favourite Kalax, the glacial retro-futurist synths of Sunrise, the project’s latest, an apparent favourite of that aforementioned Merseysider. More than anything the track feels completely kinetic, though anything but forceful, a spacious, luxuriating journey through an imagined Eastern future that both cries out for visuals and in a sense provides them by its boundless, roaming aesthetics. Finally, it’s a return to our favourite of all the arbitrary musical provinces, Scandinavia, where Jonas Alaska of Åmli, Norway and graduate of our city’s own LIPA has just unveiled his intriguing third LP, Younger. 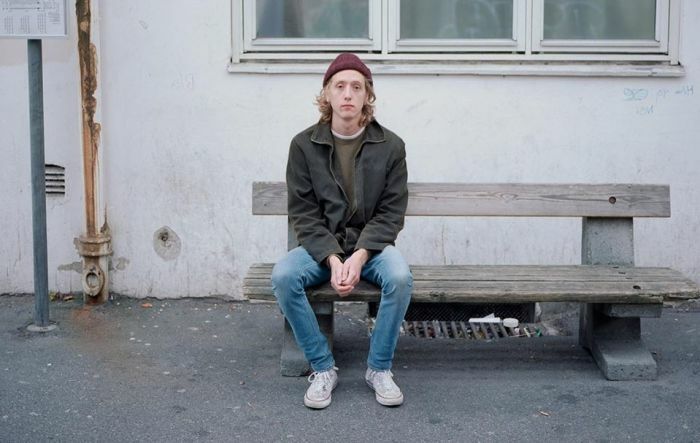 Nordic-by-scouse perhaps, but the album has more in common with the best of American alt-pop than the frosty psychedelia that’s come to characterise his country’s cutting-edge of late. Already well-established in his native Norway with his previous two albums hitting the chart’s top five, it’s easy to see why, the record’s blend of pop sensibility, youthful snarl and fashionable fuzz pushing all the right buttons for connoisseurs and consumers alike. On slow, capacious numbers like All the Movies Alaska sounds as if he’s robbed Christopher Owens‘ Girls vault, while the elegant melodics of I’m Sorry and She’s Not One of Them are pieces of characterful alternative pop as it should be done, balancing quirk with genuine passion for a slick, sophisticated listen that brims with both soul and scuzz.